This trip was a collaboration between Minority Male Mentoring, Wake Tech Athletics, and Career & Employment Resources. Students engaged with Charlotte Hornets staff about education and career choices, and paths to success within the professional sports industry. Community college students from across the state came together to network, learn from dynamic speakers, participate in a college fair, and engage in educational and other workshops centered on manhood. Other topics included college access and success, personal development, goal-setting, and finances. The Student African American Brotherhood (SAAB) is a minority-male oriented national conference with powerful messages of success to inspire and mentor Young Men of Color across the United States. The event is intended for Middle and High School/College and University students. The conference included speakers, presenters, and workshops that enlightened participants, who make a difference in the lives of young men in their local communities. Nine students attended the conference. 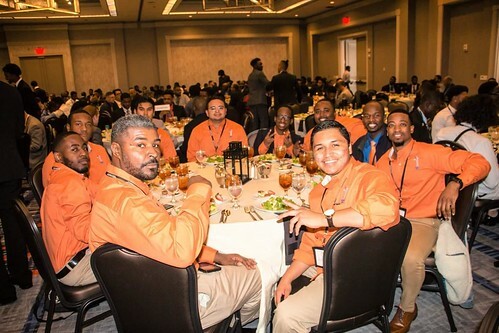 The “BOOST ME” (Breaking through Obstacles to Obtain Success Today Motivational Empowerment) Summit is an annual spring motivational summit event pioneered by our Male Mentoring initiative. On April 10, 2018, student attendees learned strategies for obtaining motivational empowerment and thinking creatively to reach their academic and life goals. The 2017-18 academic year marked the 5th year of a mentoring partnership with Salem Middle School in Apex, NC. Pathways student mentors guide session topics centered on success, personal responsibility, goal setting, and time management. Pathways’ and Recruitment & Outreach staff pioneered a mentoring program with Rolesville High to increase student engagement in the local community. Topics include college and career readiness, leadership, and academic responsibility.